If you've been following me #OnTheBlog or on Facebook (Today's Words Of Glass) then you know that I've been dabbling in some trail running. If you haven't been following me - then shame on you :) No seriously, happy to have you here if you are new. It still amazes me that people (hi Mom) will take the time to read what I write. But recently, I've had the desire to hit the trail - and yes a time or two I've literally hit the trail. Ouch! But trail running has been a great experience. In fact, I see more trail running in my future. Along with new experiences, new aches have come along with it. My hamstring actually (for the most part) enjoys trail running since I shorten my stride. However, on the flip side, the inclines and descents have also really worked the muscle. I turned my ankle over on a road run, and then turned it over (bad) on a trail run the same week. And my trainer, well my trainer works me until my limbs shake like jello, so yeah there's that. Let's just say I've been sore all over. And I turned to Tiger Balm to get some relief. First I tried the Tiger Balm Pain Relieving Ointment on my ankle. It contains Camphor and Menthol, so yes it does smell, but I found the smell pleasant and not too overpowering. And Hubby didn't complain (and usually he will be the first to complain if he doesn't like the smell of something, especially when it comes to lotions and creams). In fact, I've used it more than once on my sore ankle (which is barely sore now). I felt that it did help to relieve the soreness. I tested the patch on my hamstring. After 4 hours it was still going strong. It was actually a little too intense for me (I was using it at night). So after 4 hours I removed it, but it's definitely long lasting. And I will certainly be using a patch again. It was very easy to attach and very easy to remove. And there are 5 patches in the box. 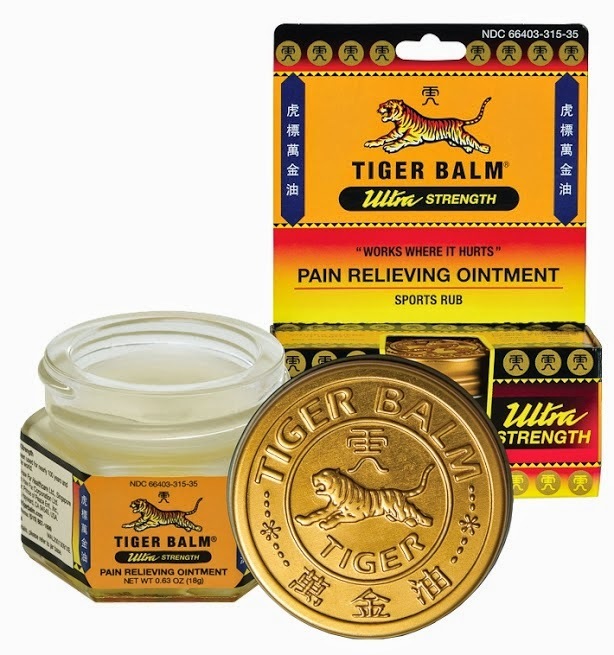 I also used the Tiger Balm Pain Relieving Ointment on my hamstring, and the next morning the soreness was greatly improved. I think you get the idea, I really like the Tiger Balm products. In my personal (unprofessional) opinion, I feel that they work great at relieving soreness and stiffness in my joints. 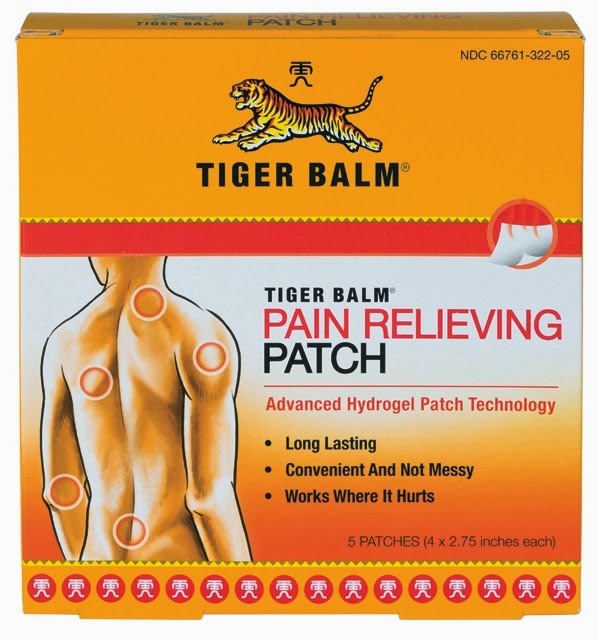 And one of you can win a full size product of either the Tiger Balm Pain Relieving Ointment or the Pain Relieving Patch. Simply enter the giveaway tool below. I would have lots more pains if I ran trails. I would also probably have some broken bones. Both look really helpful especially for sore muscles or joints. I'm glad that it helped you after you turned your ankle as that's so painful. I'd love to try the ointment as I feel I have numerous sore places, especially my right shoulder. I think I would try the ointment first that way I could spread it around to all my aches. The patch! I have horrible back aches that make it hard for me to sleep at night. Would love to try this to see if it helps. I use something similar to Tiger Balm called China Gel. I love it. I would like to try the ointment, tho. I think it would penetrate better than the gel I use.